"The Comptroller General of the United States proclaims that our current standard of living is unsustainable unless drastic action is taken. He warns that funding shortfalls for the Medicare program is five times worse than Social Security, and it will take $8 TRILLION to pay for what is promised today to beneficiaries, of which we have ZERO! This unrealistic "promise" is fiscally irresponsible and is mortgaging the futures of our children and grandchildren. Watch as the federal government's dirty little secret is revealed!" It pays to DYOR (do your own research) and come to your own truth. PEACE: We need more peace makers, consciousness magnifiers, people who propagate and resonate love, compassion and PEACE! This effort is not a pie in the sky reality. It is real-ity made manifest in each one of us by our choice. It is a science and technology that we can access by our intention. Part 2 What is Vedic Science? Part 4 "Can you imagine the world at peace? Occult: Definition of Occult: Babylon English-English adj. secret, hidden; inconceivable to the human mind, mysterious; magical, supernatural n. study of the occult. The occult knowledge touches all aspects of our lives, scientific, religious, political, educational, medical and physiological. Some would say we have crossed the threshold and now through the study of quantum, vibrational, hyper-dimensional physics, comparative religion, human psychology, ancient civilizations and consciousness, we are becoming whole again. There are sinister forces working to keep humanity from waking up....this reality is not a joke. They have used the occult knowledge to maintain their power and control over humanity. Conversely there is another path, towards the light and the connection to the higher realms. The rediscovery of the old scientific understanding is there for all to see if they will educate themselves and help to usher in a new paradigm utilizing the natural powers of the universe. The electromagnetic earth grid is humming with unlimited electric power. The old power system using the pyramids, obelisks, and natural electromagnetic forces within the planet is available, waiting for us to tap into it. I encourage each person reading this blog to watch the short videos and expand your mind. All of this knowledge has been available and yet hidden by those who want to control the world and all of humanity. It is my understanding that now is the time for all of us to spread the word and help wake up our brothers and sisters so we can live in harmony with humanity, nature, earth and our cosmic multidimensional neighbors. "Researcher Jordan Maxwell discussed how his exposé of the Illuminati and its occult roots has brought fear and threats into his life. He reported that his phone line is tapped by the NSA/CIA and they occasionally break into his calls and talk about him." We must ask the most high for protection and to surround all of us with His Light! The Grand Architect designed a system that is amazingly complex and yet simple enough for individualized conscious awareness to understand, " get it" (understand the way thew universe works). Watch-Listen and Learn, if you open your heart you too will "get it". A system of free will, to create something when everything is free..........Now I call that a free gift from the Multi-Versal Mind........ (Galactic Brain)(God? )(Creative Intelligence). We stand at the precipice of a new dimensional reality with the fractal unfolding within the sacred geometric spiral of consciousness development. The Grand Architect is patiently encouraging each divine entity/individualized conscious soul to reach their highest potential and let go of the lower/slower energies that make up this present world. Now is the time to embrace the new energy streaming into our dimension and boldly go where few human beings have gone before. The Crop Circles phenomena speak to the Sacred Geometry (Universal/Multi-versal language) of the cosmos and can speak to each one of us if we will open ourselves through the heart, allowing it to move through our consciousness, connecting with our higher self. This multi dimensional, hyper dimensional communication is offered for our edification and instruction. It is incumbent on each one of us to either listen and resonate with the message or continue to miss the opportunity for graduation. The free gift is offered for those souls ready to make the evolutionary leap to infinity. At this hour, in this time we are at a crossroads with the welfare of the planet....we need a new economic system or we may find ourselves in a very dark period of history, I pray not. May I suggest you take the time to listen and come to your own truth. Intended to instruct, build up, an uplifting enlightenment by integrating moral, intellectual and spiritual understanding. The act of edifying, or a state of being edified; a building up, especially in a moral or spiritual sense, intellectual, or spiritual improvement; instruction. Didactic Edification is my life path, my perceived mission while in the earth plane. This didactic edification is best accomplished through the experiential, inter-active approach and can be utilized through any dimension of our earthly journey. We have within our nature a longing for spiritual development that transcends our limited 3D perspective and when we focus our intention can literally unlock the chains that bind us. My spirit guides have instructed me to communicate a message of love, hope and empowerment to every person I can reach, through the written word, web site(s), video feeds, and to shout it out from the mountain top at every opportunity. As instructed, I am doing what I can to help move this effort along. They have put into motion a level of activity that is generating a tsunami tidal wave that is beyond our human understanding. This effort involves people from all over the planet that are hearing the call and answering, as best they can, imperfectly but actively. Many people can now feel an explosion of consciousness reaching a crescendo, building towards a burst of cosmic energy. The Mayan Cosmology speaks to the close of this cycle and the age of revealing when the masks shall come down and the veil will be removed from our eyes. There is a new level of understanding sweeping across the world on almost every front. As the veil is lifted we have the opportunity to move past the divisions that have divided us and reclaim our personal and collective sovereignty. My web site is designed to be a portal and a jumping off point for people to explore their world absent the false manipulation. We each come to our own truth many different ways and at many different times. Robert Reckmeyer.Com is meant to help facilitate a trip down the rabbit hole where one is confronted with one adventure after the other. Take a trip down the rabbit hole, look around and reframe the nature of your personal reality. Find your own truth and expand your mind, don’t let others tell you what is true, find out for yourself. We are in a critical period of time as we come to the close of this cycle, ending around the 2012 date, December 21, 2012. I try not to get to caught up on the date or try and pin down a certain set of events. One thing is quite clear; we are experiencing time speeding up and our level of understanding exploding with revelation on a daily basis. The fact that so many people are experiencing an altered state of consciousness is testimony to our collective experience. The key during these next few years is to be in the right place spiritually and vibrationally. It is imperative to be in community with like minded souls who have a commitment to their personal ascension and can be supportive to each other. A time of daily meditation is similar to a defrag of our computer hard-drive and can, with practice, help one to form a clearer connection to each other, other dimensional beings and to Super Universal Consciousness, the Galactic Brain, God, or any other name one might ascribe to the Grand Architect of the Universe(s). It is critical that we are open to receive and quiet enough to hear when we tune ourselves to the higher frequencies. It works very much like a FM radio receiver. If we fail to turn on the receiver or fail to dial in a station, or fail to use an antenna then no wonder we never hear anything and we falsely believe that those who do are not being truthful. “If I can’t hear it then it must mean there is nothing to hear”. That is patently false. The universe is teaming with intelligent life wanting to connect with us. They utilize many frequencies of the octave spectrum, within our Musical Universe(s). If we want to join the galactic community then we have to play by their rules and expand our reality to include them. If we want to be stuck in a 3D world and never grow past our current paradigm then it is truly our choice. We have been caught in a time loop from one grand cycle (25,920 years) to the next. We have failed the harvest and many souls repeat the cycle over and over again. We have a great opportunity right here and now, to graduate to the next vibrational level. The earth is cycling through the photon belt, highly charged light particles, consciousness units, that are speeding up the frequency of the earth and throughout our solar system. The reason we are able to see more truth, understand both the Dark Side manipulations and also the higher energy realities, is because we are absorbing more light through our DNA antenna system. We are more telepathic and in tune with the cosmic order because we are in the photon belt. You can see why it is so important for all of us to be awake, clear headed, not medicated and in spiritual communication with the higher realms. Now is not the time to be sleeping or seeking false entertainment. We must be working to graduate to the next vibrational level and bring as many souls along, with us, as is humanly possible. I have been instructed to do everything in my power to get the message out and to request that we are not bashful, weak minded, fearful, or putting the cares of this world before the work that needs to be done. This is a wake up call to those souls who signed up for this mission before incarnating into the earth plane. The harvest is upon us and we need to shout it from the hill tops. I am asking that each person reading this, stop and close your eyes for a minute, try and remember why we came to earth. We must reconnect with our higher self and find our way home to our spiritual center. I encourage each of you to copy this web site to ten friends and request that they do the same, (Conscious Creator Enterprise). If we can get the word out, through word of mouth, and ignite a spiritual fire helping others connect with their higher self then it will take on a life of its own. I am trying to do my part, as a catalyst, but it takes all of us to make it happen. This is directed from a higher power and comes from a place that can only be found from within. If this message resonates within your spirit and you recognize something from deep inside then pass it along and ask others to do the same. I will be eternally grateful to all of you for the help and I will do my best to move this effort along. If we can flood the market with love and light articulating a message of freedom and liberty, asking the universe to open the right doors and bringing the right people together then anything is possible. Nothing is impossible when we are doing the work that needs to be done. The Universal Consciousness will empower us to accomplish the mission no matter how difficult it may seem. I encourage all of us to search our souls and make the most of each day we have left on Gods green earth. Time is passing by and we want to make sure we don’t waste a minute for the work that needs to be done. "Joan Veon International journalist and businesswoman, tells how she received her “wake up call” when she learned that the super rich elite of the world have been feverishly working to establish a "One World Government" through a multitude of "international" institutions. There is a lot more going on at the global level than you have been told. Hear it from some one who has attended many of these globalist meetings." DYOR come to your own Truth! Watch the strategic provocations.........HAARP is a system to harmonically control the weather and has the ability to cause earth quakes and trigger the natural forces underground. It also is being utilized for mind control, social engineering of the human population (without our informed consent). Good people must unite in their opposition to concentrated power and control. The New World Order has no qualms about using any and all means to further their agenda. Now is the time to awaken and demand they STOP. We must assert our individual and collective sovereignty or we will lose our ability to reason and think critically. We are at a critical fork in the road..........If we fail to open our eyes and face the truth then we will be a system controlled by the dark side. Chemtrails turn the atmosphere into a highly charged plasma allowing the HAARP system to operate at a much greater intensity. It allows the manipulation of our atmosphere for weather manipulation, it has the ability to trigger earth quakes and volcano's and can pulse the atmosphere with very slow frequencies that help maintain a mind controlled public. All of these technologies can be researched within the public domain, see; Angels Don't Play that HAARP, chemtrails, mind control, frequency transmutation, DNA manipulation. It is incumbent on all thinking people to jump out of the box and grow up so we can assume our rightful place in the multi verse and our space within our galaxy. It is time..........Alex Collier has a message for all of us. Let his message speak to your higher self and allow it to work on your heart. "The love you withhold will be the pain you carry." Let the evolutionary spiral elevate my conscious awareness and speak to my soul. To be or not to be, that is the question. Letting go means allowing the river of life to carry me downstream. Allowing the current to speed up my graduation to a higher frequency of the creation. There is a cosmic battle taking place between those aligned with the negative, dark side polarity and those aligned with the light, the positive polarity. It really is time to pick sides, making a choice and working towards the betterment, or not, of humanity and our planet earth. This is a cosmic battle for humanities consciousness. Our ability to graduate to the next frequency is dependent on those willing soldiers who will rise up and stand for truth. We must be embolden and firm in our steadfastness......rejecting fear and embracing the power of the multi verse and the heavenly host who stand ready to assist us in this great effort. It is sink or swim, we either stand on our own two feet and grow past the evil manipulation or we fall back and repeat the cycle once again. START........... here. Fear based versus Faith based. Dark versus Light. Lack versus Abundance. Unconscious versus Conscious. Power and Control versus Love and Compassion. Service to Self versus Service to Others. We are running out of time..........2012 is upon us.....the Ascension has begun. Are you where you want to be? Are you connected to your higher self? Who am I? Why am I here? What did I contract to do while I am in the Earth Plane? How many days do I have left to complete my journey? Brrriiiiiiiiiiiiing ******** Time to wake up and get busy! PART 2: The setting: a forum exploring the Liberalism and Conservatism of the 60s, via reactions to the re-publication of Barry Goldwater's 'Conscience of a Conservative' and JK Galbraith's 'New Industrial State.' Robert F. Kennedy Jr., now a law professor, makes devastating comments about the current administration while demonstrating that Goldwater's ideas, and true Conservatism, are the antithesis of Bush, his cronies, and the Republican party. Completely extemporaneous - a masterpiece! Labels: conservatism, fear, government, liberalism, Robert Kennedy Jr. It is incumbent on all good citizens to stand up and turn back the tide of false constructs....national security comes from the power of ideas and ideals not perpetual war and a world wide system of lies. We must comes to terms with our past if we are to change the current paradigm and usher in a new way of doing business in the world. Those that would continue a system based on war, mind control, (see the HAARP system/Chemtrails, non lethal weapons)must not be allowed to prosper. Good people of the world must unite to establish a world based on the Brotherhood of Man. Now is the time to stand up and reject covert action that keeps the American public out of the loop and allows the Secret Government to operate in our name. Watch......listen.......learn.......and act, to overturn their mis-placed power and control. Their power and control, over us, is not okay. The New York Times, widely recognized as the voice of the establishment Democratic left, set the tone of what we can expect from an Obama foreign policy in a lead editorial last Sunday entitled, A military for a dangerous world, editorial calls for U.S. military imperialism not to be scaled back under Obama, but to be vastly expanded both in terms of budget and scope. Obama’s announced appointees and those that are expected to follow differ only from their Bush administration contemporaries in proficiency and competence, their zeal for military adventurism is coequal, while others that shaped eight awful years of spying, torture, evisceration on freedom and unprovoked military attacks on sovereign nations will merely stay on in their roles. Obama's likely selection of Hillary Clinton for the position of Secretary of State highlights the brazen hypocrisy with which the “change” agenda has begun to be implemented since Obama won the election two and a half weeks ago. Clinton voted for the invasion of Iraq, a point on which she was attacked by Obama during the phony Punch and Judy show of the debates. Obama also denounced Clinton for voting in favor of a Senate resolution branding the Iranian Revolutionary Guard a terrorist organization. Clinton promised to “obliterate” Iran if it attacked Israel, a mantra echoed by Obama when he assured AIPAC, the notorious Israeli lobby that military strikes against Iran were very much on the table. Likewise, one of the favorites to become Obama's Defense Secretary is Michele A. Flournoy, deputy assistant secretary of defense in the Clinton administration and president of the Center for a New American Security (CNAS) think tank. Obama’s advisers have also been floating the likelihood of Robert Gates remaining as Obama's Secretary of Defense, so it looks like we’re either going to have a warmonger or a warmonger in the position - what a choice! Obama's head of the CIA transition team is none other than John Brennan, an aide to former CIA director George Tenet and a key participant in the formulation of policies that led to the torture scandal, extraordinary renditions and secret prisons. Then we have Rahm Emanuel, “the enforcer”, and Obama's new chief of staff. Emanuel is the son of a member of the terrorist group; which was responsible for bombing hotels, marketplaces as well as the infamous Deir Yassin massacre, in which hundreds of Palestinian villagers were slaughtered. Recall that President elect Barack Obama's first act of “change” upon winning the Democratic presidential nomination back in June was to don a joint US-Israeli label pin, head on over to AIPAC and prostrate himself in front of the Israeli lobby, vowing to keep military action in mind for Iran and promising to hand over another $30 billion of American taxpayers’ money in military assistance to the Zionist state. When are liberals going to stop behaving like gloating children and understand that Obama's exalted messiah status and political capital, allied with his publicly stated agenda and the nature and track record of those he has appointed to key positions, is a recipe for a new wave of militarism and an expansion of the pre-emptive Bush foreign policy doctrine that Obama himself campaigned against with his rhetorical and empty promises of “change”? Barack Husein Obama is a reflection of our collective consciousness..........Our (His) ability to navigate to a better place is dependent on our collective will, and yet Obama represents our hopes and dreams while still being a work in progress. 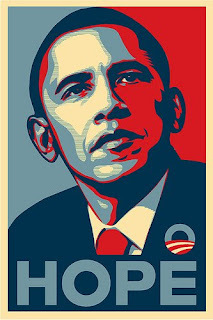 Obama has taken on a super human responsibility and so we await his maturation and our ability to project our collective consciousness onto him and his Presidency. The future is not written in stone...it is pliable and mailable to our energetic projection. We as a human family have the ability to choose which direction we want to go...it is an individual and a collective future time line...do we align with the positive or the negative? Do we line up with service to self or service to others? Are we helping or hurting? Is our Nation part of the solution or part of the problem? How do we energetically influence the outcome of our human drama? Obama has within him the seed to our ascension or the seed to our demise. Now we are called to energetically resonate love and compassion, charity and hope for humanity. If we choose to accentuate the negative, the Dark Side, then we are saying NO to a future filled with light. Rather we project a world left in the dark. May we now realize that we have great power, within our being, to affect the future course of American and World history. We can not tell Obama what to do but we can energetically influence the outcome. We can elevate the vibration to a higher frequency and picture wholeness. We can usher in a new reality by thinking it into existence. All is working itself out and bringing us closer to a new day.......It is important for us to let go of the past and embrace a new future based on the brotherhood of man. Those souls who can not let go of the past will be held back for another cycle until they learn that they create their own reality and it is either filled with love or separation. Those that hold on to power and control will be left to experience the fruit of their labor. Doctor of Physics, Brooks Agnew discussed possible cataclysms that may occur around 2012, and offered an update on his planned North Pole Inner Earth Expedition. The current timetable is to embark on the expedition in August 2009, traveling to the Arctic region aboard a nuclear powered icebreaker. A helicopter and ship stored in the icebreaker will be used to advance scout for a hole that might exist in the curvature of the crust, he detailed. Agnew said ancient Mesoamericans described visits from the 'Shining Ones'-- possible ETs, who may have given them the knowledge of astronomy, architecture and agriculture. One of the Mayans' complex calendrical systems ends in 2012, coinciding with the Earth aligning with a black hole in the center of the galaxy, he outlined. This positioning will cause planets to heat up in the solar system, and potentially wreak havoc with our climate, he said. A pole shift could take place within a short time period-- 3 to 5 days, and the reversal of Northern and Southern hemispheric patterns could set up a "global superstorm," with 300 mph winds lasting up to a month, Agnew warned. Those of us who have the tools, at our finger tips, (computer) must stand up and do the work that must be done in order to turn this ship around. We are at a point in history that we either sink or swim as a human species. If you have awoken from your slumber then by all means don't fall back asleep! Arise and awaken your neighbor! Study where we have been, where we are and the possible outcomes, (time lines). Influence the future by becoming pro-active within the context of your reality. Speak out, write a book, set up a website, talk to your friends, attend a rally and make your voice heard (shout it from the roof tops). Consciousness is the ability to think outside the box, question the accepted norm and keep questioning everything until it rings laud and clear within your whole being. Trust your gut, trust you intuition, trust your heart! DO NOT TRUST THE SYSTEM! Because it is controlled by the Dark Side and "they" do not have our best interest(s) at heart. They are power hungry and want to own and control the world and not just the world but each and every one of us. We are literally at the fork in the road.......to the left we have more of the same.....negative polarity, the Dark side, perpetual war, 500 lb bunker buster bombs on innocent men, women and children, trillions of dollars to bailout the super rich. We have a world where 2% of 2% own and control EVERYTHING! To the right we have 6.5 Billion human beings that want to drink clean water, are willing to do a fair days work for a fair days pay, they want to eat a hot meal (and would be happy for one hot meal a day), sleep in their own bed, share some affection, play with their children, and share some love and compassion with their fellow human family. We want to resonate LIGHT and LOVE and HOPE (Charity). There are 6.5 billion human beings alive on Planet Earth right now that want to do the right thing and yet they are easily manipulated and stuck, unable to see the forrest from the trees. We are living in a manufactured false reality based on fear. It is time to wake up and create a different model. Watch Obama! His National Security Team is more of the same.....his chief of staff is a friend of Wall Street, not Main Street. We must pray he chooses the Light and not the Dark side....right now it does not look good. We must not fool ourselves but rather hold each "Public Servant" to account for their action(s). Not what we say but what we do! I encourage every thinking person who stumbles across this blog to share it with their friends and family. To share my websites and pass along the links so others can DYOR. The dollar system is dead........power and control concentrated at the top, don't trust the Federal Reserve (Criminal Banksters), don't trust Bernanke, read history!!! Financial systems have failed, the currency has been replaced, and who pays the bill? Naomi Klein/Democracy Now/Criminalization of Gov. The more details emerge, the clearer it becomes that Washington's handling of the Wall Street bailout is not merely incompetent. It is borderline criminal. "In a moment of high panic in late September, the US Treasury unilaterally pushed through a radical change in how bank mergers are taxed--a change long sought by the industry. Despite the fact that this move will deprive the government of as much as $140 billion in tax revenue, lawmakers found out only after the fact. According to the Washington Post, more than a dozen tax attorneys agree that "Treasury had no authority to issue the notice." Let's be clear about why. "The Street" would cheer a Summers appointment for exactly the same reason the rest of us should fear it: because traders will assume that Summers, champion of financial deregulation under Clinton, will offer a transition from Henry Paulson so smooth we will barely know it happened. Someone like FDIC chair Sheila Bair, on the other hand, would spark fear on the Street--for all the right reasons. When transferring power from a functional, trustworthy regime, everyone favors a smooth transition. When exiting an era marked by criminality and bankrupt ideology, a little rockiness at the start would be a very good sign." The criminalization of our government to the tune of trillions of $$$$$$ and both political parties are complicit in the crimes. They are either to weak to act or part of the scam. It all comes down to a spiritual dynamic, service to self (power and control) or service to others (love and compassion). Years ago, from 1970 till 1982 (the last overt act in the indictment) I smoked pot and sold it on a large scale. I broke the law dealing with a natural herbal substance and I pled guilty for my illegal acts. Conversely I was sentenced to Federal Prison, served my eight (8) years (96 months) not an easy punishment for any man, woman or child. I did plead guilty, pay my debt (oppressive) and rebuild my life. I came home joined the "system" paid my taxes, collected taxes on my employees and complied with the rules, regulations and laws of the land. Now I watch the fleecing of the public, through corrupt, illegal practices, protected by a criminal political system and I have to ask myself and every person reading this Blog, what the hell are we doing to stop this madness. This great nation of ours is being liquidated my a criminal element, see the Bush Crime Family on my website, www.truth-in-government.com, both corporate, political, banksters (Anglo-American) and we sit back and do nothing! They loot our 401 k, our equity in our homes, our jobs and people are in a fog. May I suggest we organize and march on Washington demanding action to take back our government. The first assessment of Obama does not look good. He is assembling a National Security Team that spells more of the same, not fundamental change. He has spoken of widening the war to Pakistan and has Zbigniew Brzezinski front and center. I am as hopeful as any person but without grassroots action, nothing will really change. We can't just vote for change, we have to continue to bring the pressure on our government or it won't happen. The power elite are bringing their pressure on the government and trust me they won't let up until they own and control everything. The financial crisis is deepening, with the risk of seriously disrupting the system of international payments. This crisis is far more serious than the Great Depression. All major sectors of the global economy are affected. Recent reports suggest that the system of Letters of Credit as well as international shipping, which constitute the lifeline of the international trading system, are potentially in jeopardy. The proposed bank "bailout" under the so-called Troubled Asset Relief Program (TARP) is not a "solution" to the crisis but the "cause" of further collapse. The "bailout" contributes to a further process of destabilization of the financial architecture. It transfers large amounts of public money, at taxpayers expense, into the hands of private financiers. It leads to a spiraling public debt and an unprecedented centralization of banking power. Moreover, the bailout money is used by the financial giants to secure corporate acquisitions both in the financial sector and the real economy. In turn, this unprecedented concentration of financial power spearheads entire sectors of industry and the services economy into bankruptcy, leading to the layoff of tens of thousands of workers. The upper spheres of Wall Street overshadow the real economy. The accumulation of large amounts of money wealth by a handful of Wall Street conglomerates and their associated hedge funds is reinvested in the acquisition of real assets. Paper wealth is transformed into the ownership and control of real productive assets, including industry, services, natural resources, infrastructure, etc. The real economy is in crisis. The resulting increase in unemployment is conducive to a dramatic decline in consumer spending which in turn backlashes on the levels of production of goods and services. Exacerbated by neoliberal macro-economic policy, this downward spiral is cumulative, ultimately leading to an oversupply of commodities. Business enterprises cannot sell their products, because workers have been laid off. Consumers, namely working people, have been deprived of the purchasing power required to fuel economic growth. With their meager earnings, they cannot afford to acquire the goods produced. Inventories of unsold goods pile up. Eventually, production collapses; the supply of commodities declines through the closing down of production facilities, including manufacturing assembly plants. In the process of plant closure, more workers become unemployed. Thousands of bankrupt firms are driven off the economic landscape, leading to a slump in production. Mass poverty and a Worldwide decline in living standards is the result of low wages and mass unemployment. It is the outcome of a preexisting global cheap labor economy, largely characterized by low wage assembly plants in Third World countries. The current crisis extends the geographic contours of the cheap labor economy, leading to the impoverishment of large sectors of the population in the so-called developed countries (including the middle classes). In the US, Canada and Western Europe, the entire industrial sector is potentially in jeopardy. We are dealing with a long-term process of economic and financial restructuring. In its earlier phase, starting in the 1980s during the Reagan Thatcher era, local and regional level enterprises, family farms and small businesses were displaced and destroyed. In turn, the merger and acquisition boom of the 1990s led to the concurrent consolidation of large corporate entities both in the real economy as well as in banking and financial services. In recent developments, however, the concentration of bank power has been at the expense of big business. What is distinct in this particular phase of the crisis, is the ability of the financial giants (through their overriding control over credit) not only to create havoc in the production of goods and services, but also to undermine and destroy large corporate entities of the real economy. Bankruptcies are occurring in all major sectors of activity: Manufacturing, telecoms, consumer retail outlets, shopping malls, airlines, hotels and tourism, not to mention real estate and the construction industry, victims of the subprime mortgage meltdown. General Motors has confirmed that "it could run out of cash within a few months, which could prompt one of the biggest bankruptcy filings in U.S. history". November 11, 2008)) In turn this would backlash on a string of related industries. Estimates of job losses in the US auto industry range from 30,000 to as much as 100,000.(Ibid). In the US, consumer retail companies are in difficulty: the share prices of JC Penney and Nordstrom department store chains have collapsed. Circuit City Stores Inc. filed for Chapter 11 protection. The shares of Best Buy, the electronics retail chain, have plunged. The Vodafone Group PLC, the world’s biggest mobile phone company not to mention InterContinental Hotels PLC are in difficulty, following the collapse of stock values. (AP, Nov 12, 2008). Worldwide, over two dozen airlines have gone under in 2008, adding to a string of airline bankruptcies in the course of the last five years. 30 October 2008). Denmark’s Second commercial airline Stirling has declared bankruptcy. In the US, a growing list of real estate companies have already filed for bankruptcy protection. In the last two months, there have been numerous plant closures across America leading to the permanent layoff of tens of thousands of workers. These closures have affected several key areas of economic activity including the pharmaceutical and chemical industries, the automobile industry and related sectors, the services economy, etc. Among the unemployed, the number of persons who lost their job and did not expect to be recalled to work rose by 615,000 to 4.4 million in October. Over the past 12 months, the size of this group has increased by 1.7 million." The official figures do not describe the seriousness of the crisis and its devastating impact on the labor market, since many of the job losses are not reported. The situation in the European Union is equally disturbing. A recent British report points to the potential plight of mass unemployment in North Eastern England. In Germany, a report published in October, suggests that 10-15% of all automotive jobs in Germany could be lost. Job cuts have also been announced at General Motors and Nissan-Renault plants in Spain. Sales of new cars in Spain plummeted by 40 percent in October in relation to sales in the same month last year. Bankruptcies and foreclosures are a money-spinning operation. With the collapse in stock market values, listed companies experience a major collapse of the price of their stock, which immediately affects their creditworthiness and their ability to borrow and/ or to renegotiate debts ( which are based on the quoted value of their assets). The institutional speculators, the hedge funds, et al have cashed in on their windfall loot. They trigger the collapse of listed companies through short selling and other speculative operations. They then cash in on their large scale speculative gains. Once they have consolidated their position in the banking industry, the financial giants including JP Morgan Chase, Bank of America, et al will use their windfall money gains and bailout money provided under TARP, to further extend their control over the real economy. In this regard, Warren Buffett’s Berkshire Hathaway Inc. is a major shareholder of General Motors. More recently, following the collapse in stock values in October and November, Buffett boosted his stake in oil producer ConocoPhillips, not to mention Eaton Corp, whose price on the NYSE tumbled by 62% in relation to its December 2007 high (Bloomberg). As a result of these developments, which are directly related to the financial meltdown, the entire ownership structure of real economy assets is in turmoil. Paper wealth accumulated through insider trading and stock market manipulation is used to acquire control over real economic assets, displacing the preexisting ownership structures. What we are dealing with is an unsavory relationship between the real economy and the financial sector. The financial conglomerates do not produce commodities. They essentially make money through the conduct of financial transactions. They use the proceeds of these transactions to take over bona fide real economy corporations which produce goods and services for household consumption. In a bitter twist, the new owners of industry are the institutional speculators and financial manipulators. They are becoming the new captains of industry, displacing not only the preexisting structures of ownership but also instating their cronies in the seats of corporate management. The November 15 G-20 Financial Summit in Washington upholds the Washington-Wall Street consensus. While formally presenting a project to restore financial stability, in practice, the hegemony of Wall Street remains unscathed. The tendency is towards a unipolar monetary system dominated by the United States and upheld by US military superiority. The architects of financial disaster under the 1999 Gramm-Leach-Bliley Financial Services Modernization Act (FSMA) have been entrusted with the task of mitigating the crisis, which they themselves created. They are the cause of financial collapse. The G20 Financial Summit doesn’t question the legitimacy of the hedge funds and the various instruments of derivative trade. The final Communiqué includes an imprecise and blurred commitment "to better regulate hedge funds and create more transparency in mortgage-related securities in a bid to halt a global economic slide." A solution to this crisis can only be brought about through a process of "financial disarmament", which forcefully challenges the hegemony of the Wall Street financial institutions including their control over monetary policy. "Financial disarmament" would also require freezing the instruments of speculative trade, dismantling the hedge funds and democratizing monetary policy. The term "financial disarmament" was initially coined by John Maynard Keynes in the 1940s. Barack Obama has embraced the Washington-Wall Street consensus. In a bitter twist, former Congressman Jim Leach, a Republican who sponsored the 1999 FSMA in the House of Representatives is now advising Obama on formulating a timely solution to the crisis. "President-elect Barack Obama and Vice President-elect Joe Biden announced that former Secretary of State Madeleine Albright and former Republican Congressman Jim Leach would be available to meet with delegations at the G-20 summit on their behalf. Leach and Albright are holding these unofficial meetings to seek input from visiting delegations on behalf of the president-elect and vice president-elect.